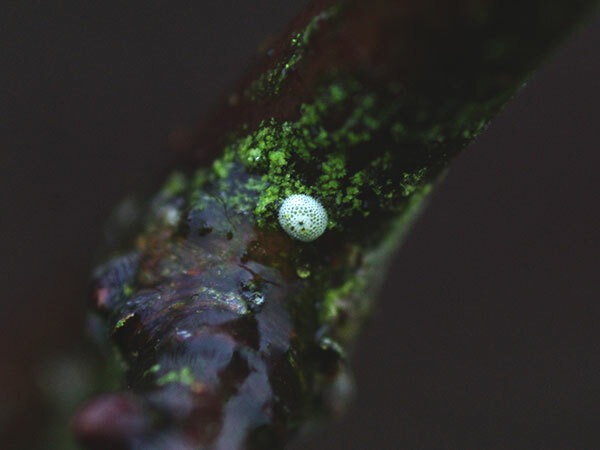 Now is the perfect time to search Blackthorn hedges for Brown Hairstreak eggs. We have more records of the eggs of this rare and elusive species in our database than we have for adults. They’re quite easy to spot once you get your eye-in, brilliant white and pin-point size, they look like microscopic sea urchins when seen through a hand lens. The female butterfly lays her eggs singly in the axil of the thorn and stem on scrubby Blackthorn bushes. They will usually be found no more than 1.5 m above the ground. It would seem that the butterflies are only interested in plants growing on Wealden Clay soils and to a lesser extent the Upper Greensand and Chalk formations. This geological preference limits the eastern extent of its distribution, Plumpton station being its most easterly outpost in Sussex.